Hello! Today is the launch of two New Brentwood Stamp Sets by Jessica Lynn Original. 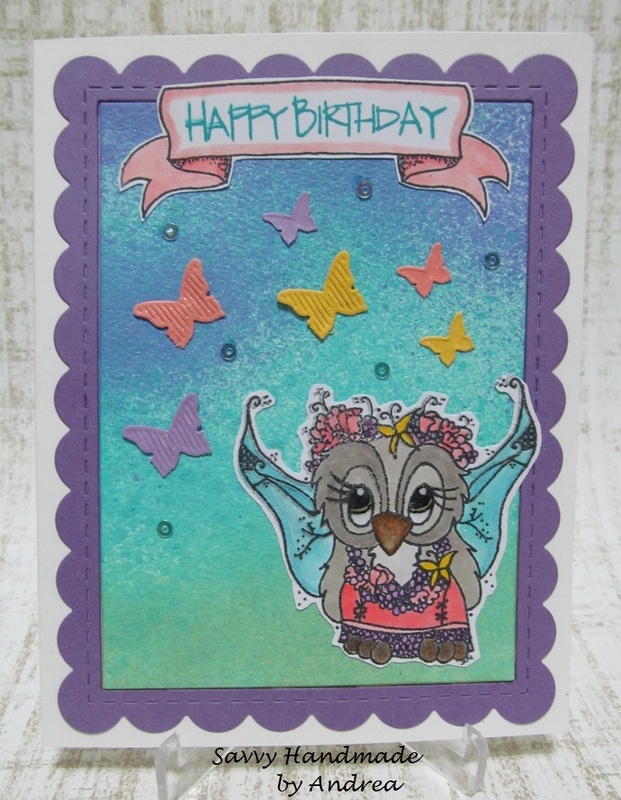 Both sets feature the adorable Brentwood owl dressed up in costume. The first card I'm sharing uses stamps from the Once Upon a Fairytale set. This set is so pretty and it was a lot of fun using it on this card. The background was created using glimmer mists and the fairy image was colored with Copic markers. I decided it needed several die cut butterflies in girly colors. The fairy wings and butterflies were brushed with clear Wink of Stella for more shimmer. In person this card really has some sparkle. The second card features Brentwood dressed up like a reindeer for Christmas. He is so cute!!! The stamp set is called Operation Snowball Brentwood. Check out the complete stamp set to see the cute Snowballs included in the set. Again I used Copic markers to color the image and then used a cross stitched oval to die cut it. Patterned paper by Pebbles was selected for this card and the sentiment was heat embossed with white embossing powder. Some twine and three sequins were used for embellishment and that's it. Don't forget to check out the Jessica Lynn Original Blog for all the exciting stamp launch details. Thanks for stopping by and enjoy the rest of your day! So beautiful and so adorable!! Love both of these! Your cards are so cute, Andrea! I especially love the second one! Brendwood is so precious! Sorry I haven't been around for awhile - I haven't been feeling well. Hope all is okay with you, my friend! 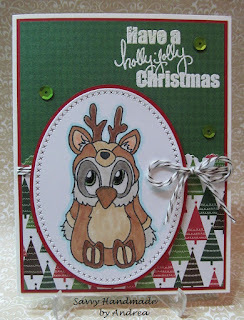 Pretty background coloring on your first card, and I love the Brentwood reindeer image! Very cute! Great new items -- I am sure you will be making some really cute cards with these. 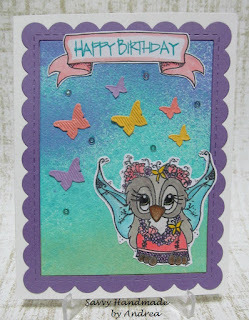 Beautiful cards... both the cards are so sweet..Thank you so much for joining us at Crafty Creations Challenges.. I love your Brentwood owl with wings and the shimmering butterflies!